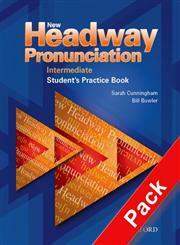 The Title "New Headway Pronunciation Course Student's Practice Book" is written by Bill Bowler. This book was published in the year 2011. The ISBN number 019439333X|9780194393331 is assigned to the Paperback version of this title. This book has total of pp. 64 (Pages). The publisher of this title is Oxford University Press. We have about 86694 other great books from this publisher. New Headway Pronunciation Course Student's Practice Book is currently Not Available with us.You can enquire about this book and we will let you know the availability.